Examination of contemporary beads with African provenance reveals large quantities of imitation amber beads made of phenol-formaldehyde thermosetting resins (PFs). This article delves into the early industrial history of PFs and their use in the production of imitation amber and bead materials. Attempts to discover actual sources that manufactured imitation amber beads for export to Africa and the time frame have not been very fruitful. While evidence exists that PFs were widely used as amber substitutes within Europe, only a few post-WWII references explicitly report the export of imitation amber PF beads to Africa. However they arrived in Africa, the durability of PF beads gave African beadworkers aesthetic freedom not only to rework the original beads into a variety of shapes and sizes, and impart decorative elements, but also to apply heat treatment to modify colors. 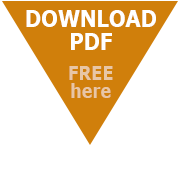 Some relatively simple tests to distinguish PFs from other bead materials are presented. Venice and Bohemia are generally considered to be the principal bead manufacturers of Europe. Yet Germany, especially the Fichtelgebirge region of northeastern Bavaria, produced large quantities of glass beads for the world market beginning in the 15th century, if not even earlier, and continued to do so well into the 20th century. The Fichtelgebirge industry is especially notable for two things: 1) the utilization of furnace-winding technology which, based on our current knowledge, was not employed to a significant degree elsewhere in Europe during the post-medieval period, and 2) the localized use of Proterobas, a greenish igneous rock, to produce opaque black beads and buttons without any additives until the early 19th century. This article presents a history of the industry and describes the products and the technology involved. It also provides a preliminary assessment of the chemical composition of the various products. More than 500 beads and pendants were excavated by a Czechoslovakian team in the early 1960s at two sites in Lower Nubia. The beads were associated with 40 tumuli in the Wadi Qitna cemetery and two tumuli in the Kalabsha-South cemetery. These 4th-century cemeteries are related to the Blemmyes, the Eastern Desert dwellers whose pottery has been commonly recognized in the region between the Nile Valley and the Red Sea coast at a time of intensive overseas trade contacts. The bead assemblage, stored at the Naprstek Museum in Prague, was recently restudied and its materials and parallels could be more specifically identified. In addition to ostrich eggshell of Nubian Desert origin, Red Sea shells and glass beads of Eastern Mediterranean and South Asian origin are present. Some beads are modern European intrusions. The site of Aktopraklık in northwestern Turkey was inhabited during the Late Neolithic and Early Chalcolithic periods, from the mid-7th to mid-6th millennia B.C. The site lies in a region that came to link Anatolia with Europe through the introduction of early farming practices and has already provided much information about the groups which inhabited the area along with their domesticated plants and animals. Although scientific techniques have led to recent breakthroughs in our understanding of the dynamics of change in the region, it is material culture that continues to form the foundation of archaeological research into daily life. Aktopraklık saw a particularly prolific use of beads that indicates complex networks of communication and exchange with other areas, both near and far, as well as possible early craft specialization. This article provides a brief introduction to these beads and their implications for the archaeology of prehistoric northwestern Turkey. Among the earliest European beads to reach North America is a distinctive group generally referred to in the archaeological literature as frit-core or frit-cored, so called because their interiors consist of sintered sand rather than solid glass. Likely produced in France, they are restricted to northeastern North America and have short temporal ranges, making them ideal chronological indicators for the latter part of the 16th century and the very early 17th century. It has long been recognized that the Peranakan Chinese peoples of Southeast Asia were expert bead embroiderers. As it happens, they were also expert bead netters and plaiters. After establishing a conceptual framework for discussing bead netting and plaiting techniques in general, this article discusses 14 pieces of Peranakan Chinese (or Minangkabau) beadwork and various techniques. The techniques likely derived not just from Europe, as early researchers tended to assume, but from island Southeast Asia and China as well. Knowledge of these and other needleworking techniques helped Peranakan beaders devise radically new permutations, some of them highly complex. Additional factors in the creation of new beading techniques are also considered. Contact in the 16th Century, by Brad Loewen and Claude Chapdelaine (eds. 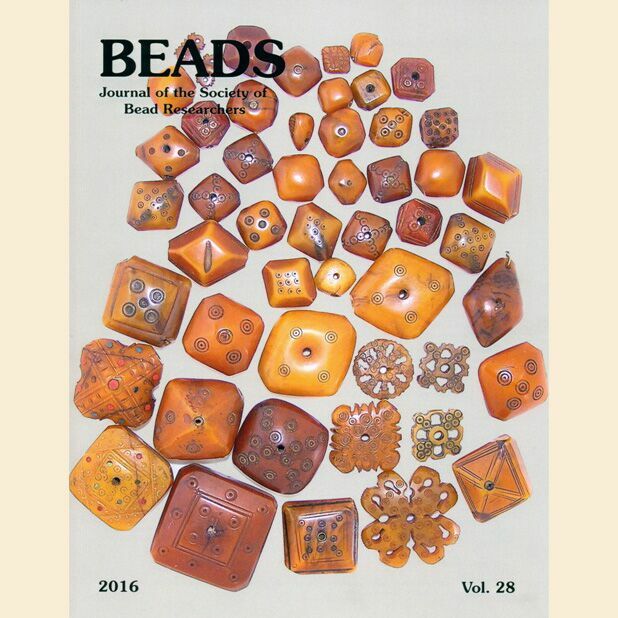 ), reviewed by Marvin T. Smith • Flower Forever: Bead Craft from France and Venice, by Ragnar Levi, reviewed by Alice Scherer • Beads from Germany: Idar-Oberstein, Lauscha, Neugablonz, by Floor Kaspers, reviewed by Valerie Hector.